A broad collection of grooves for a backbeat-driven blend of jazz, fusion, rock and funk. Urban jazz is probably best described as a less busy, more pocket-oriented and backbeat-driven derivate of fusion. Basically, it’s a seamless blend that merges the subtleties of jazz, the technicality of fusion, the groove of funk and the power of rock. 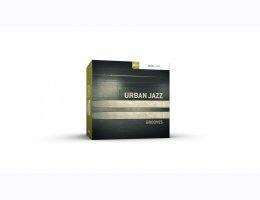 For this collection of MIDI, drummer Luke Oswald, creative mind behind Toontrack’s hugely popular Fusion Grooves and Fusion Fills MIDI packs, gathered inspiration not only from his own experience but also from the genre’s forerunning artists such as Brian Culbertson, Jeff Lorber, Larry Coryell and Kirk Whalum as well as iconic drummers like Lil’ John Roberts, Chris Miskel, Omar Hakim and Oscar Seaton. “My approach with this MIDI pack was to present a variety of grooves inspired by the distinct smooth jazz sound of the ’90s through to today. I also wanted the material to be very loop friendly, meaning if you take any groove as is, cut it up or mix it with other ones in the pack, it could still present that consistent, tight and backbeat-driven feel. Aside from urban and smooth jazz, I can easily envision this MIDI being used in anything from less busy fusion to rock, soul or even hip-hop,” he says. Welcome to a collection of tight, backbeat-driven grooves, ideal for largely any songwriting application that calls for that special finesse and extraordinary detail only a great drummer can muster.